More than ever, school bus drivers play a vital role in our education system and can have a positive impact on our children. We are currently looking for friendly, positive individuals who enjoy helping children and have a desire to make a difference in their lives. Becoimg a bus driver is also great for those seeking but also want a job that won’t drastically change their lifestyle. If you’re a stay-at-home parent but who doesn’t want to give up time with your children, a retiree looking for a rewarding way to spend part of each day, or a student looking for additional income, this might be the part-time position you’ve been looking for. We also have various other positions within the organization which may be offered to drivers to supplement their income. Enjoy the many benefits of being a school bus driver. At Leuschen, our bus drivers are trained to be the best. In addition to standardized training and education curriculums. Our comprehensive driver training program includes First Aid and CPR, defensive driving techniques, and more than 150 online courses through our Learning Management System, ST University (STU).. 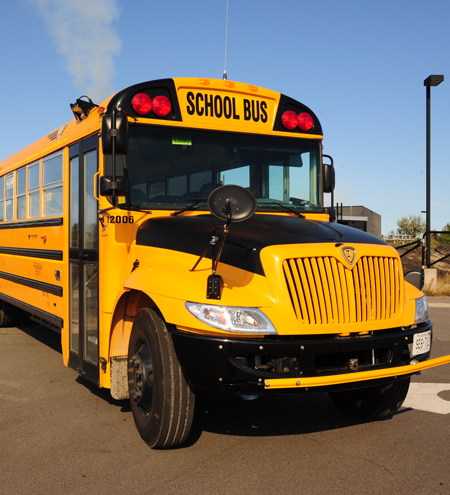 The Leuschen fleet has the most modern school buses on the road, and we are constantly introducing new buses each year. Our vehicles feature GPS tracking system and two-way radio communication systems so our drivers are never alone in any situation. Interested in becoming a driver? Apply now or call for more information (705)-674-0708.